We look forward to hearing from you! If you have any questions or feedback, we want to know! You are welcome to call or stop by, we love the company. If it’s just something quick, please feel free to use the form at the bottom of this page. Take Route 501 South into Lititz. At the light at Lincoln Avenue, turn right. LifeSpring Fellowship is approximately 3/4 mile on your left. Take Route 501 North into Lititz. At the light at Lincoln Avenue, turn left. Take Route 772 West into Lititz (becomes Main Street). Turn right at the square onto Route 501 North. Take Route 772 East into Lititz (becomes Orange Street). Turn left at the light onto Route 501 North. 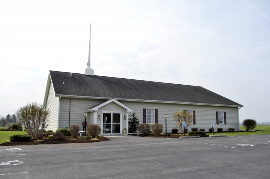 We are an Assembly of God congregation located in Lititz, PA.
Our mission is to bring living water to those who are spiritually thirsty.